My studies with expectant Indigenous mothers focus on what tobacco smoking means for nurturing healthy babies inside the womb, and also deals with preventing potential long-term health implications for Indigenous children if their mothers smoke. A lot of the acute and chronic problems that we know about which affect Indigenous Australians, such as heart disease and ‘glue ear’, can be traced back to exposure to tobacco smoke in the womb. I was working as a GP, with a background in community healthcare, before being one of the foundation academics of a University of New South Wales (UNSW) rural clinical school in Coffs Harbour. I was approached by a local Aboriginal Medical Service in the mid-2000s to help co-develop targeted and culturally-appropriate quit groups in the area. This research aimed to fill a knowledge gap in the way that messages are delivered and received with the goal of developing best practice for quit-smoking messages. It is important to find a culturally competent way to help Indigenous Australian women to quit during pregnancy. I’m planning to extend my research to also help Indigenous women overseas to stop smoking. A review I led across the four high-income countries revealed that their Indigenous populations have suffered similar effects from colonization, related to tobacco use. I have teamed up with researchers at the Mayo Clinic in the United States to encourage Alaskan Native women to quit using tobacco, and also joining forces with medical experts in New Zealand to potentially support the cessation efforts of Maori women as well. She began a PhD at James Cook University in 2011, seeking to critique and validate the tone and pitch of messages being sent to Indigenous peoples about quitting smoking. After joining the University of Newcastle in January 2015, Associate Professor Gould received a National Health and Medical Research Council (NHMRC) Early Career Research Fellow. She has since launched a number of successful projects, most recently co-developing a robust ‘ICAN QUIT in Pregnancy’ intervention with the Biripi community in Taree and Tobwabba community in Forster. This resulted in a suite of resources to help train healthcare professionals in Aboriginal Medical Services, and has been piloted in six services in three states. Associate Professor Gould has now succeeding in gaining major funding of $2.26M from the NHMRC and Global Alliance for Chronic Disease for a national cluster randomized trial of her approach, renamed SISTAQUITTM. Closer to home, Associate Professor Gould is working with South Australian academics to train healthcare professionals in Aboriginal Medical Services to stop tobacco use across all ages and genders. 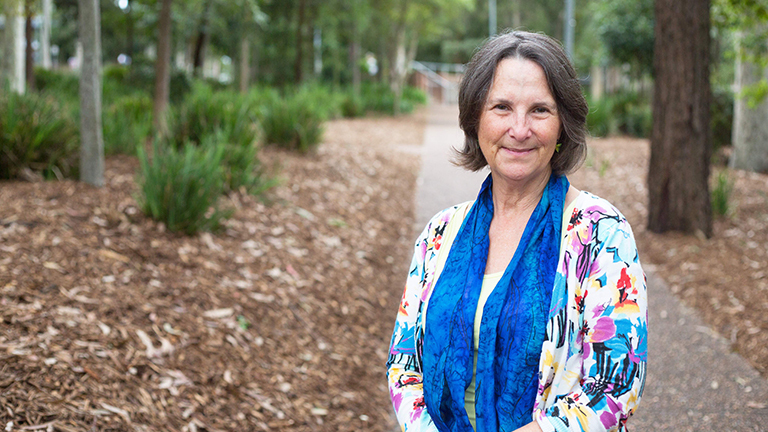 She is also collaborating with UON researchers Professor Joerg Mattes and Conjoint Associate Professor Adrian Dunlop on two projects exploring smoking cessation in pregnancy, not specific to Indigenous peoples. My dream is to enable every Aboriginal or Torres Strait Island baby to have a smoke-free start to life. To achieve this, mothers need more support from health professionals and their community to quit smoking. Tobacco smoking is an addiction. We have evidence-based approaches, and effective treatments, but they are not being made available to women in a culturally appropriate way. Preventing tobacco smoking would aid in closing the health gap for Indigenous peoples. It links with so many serious illnesses such as cancer, heart and lung disease, obesity and diabetes. Children stand to benefit by avoiding behavioural and learning problems, and are less likely to become smokers themselves if the family are smoke-free. We continually need to move with the times and seek contemporary and novel ways to engage with Indigenous communities and support healthier ways of living, that they have helped co-create. Background and skills in medicine, public health, medical education, training, drama and arts therapy.